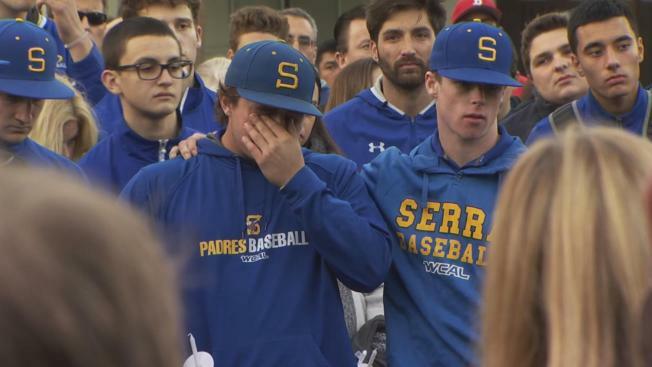 Friends and family of a man killed at San Francisco's Aquatic Park six months ago gathered in San Mateo Thursday evening for a candlelight vigil. Calvin Riley, 20, was shot on Aug. 6 last year shortly before 10 p.m. in the waterfront area near Ghirardelli Square. His father, Sean Riley, announced at the vigil a $50,000 reward for information that leads to an arrest. "I would do anything to hug Calvin again and tell him I love him," Sean Riley said. Calvin Riley, a San Mateo resident and 2015 graduate of Serra High School, was playing Pokemon Go with friends at the time of his shooting. A Massachusetts native, he was attending San Joaquin Delta College, where he played for the school's baseball team. Authorities have released a sketch of man believed to be tied to last month's fatal shooting of a 20-year-old man in San Francisco. Jean Elle reports. Life for Sean Riley after his son's death has been a nightmare. "You took away everything in my life. You ripped my heart out of my chest," he said at the vigil. "You took my best friend -- took everything from me that night." 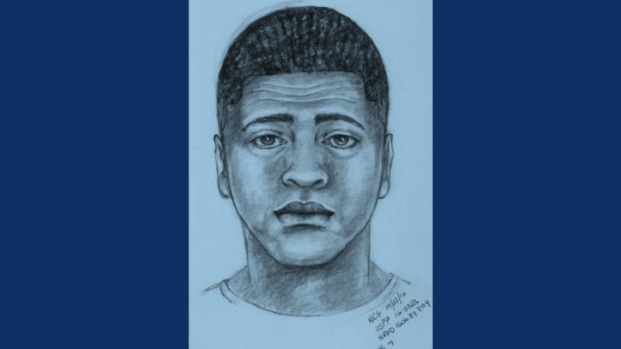 Police have not reported any arrests in the case, but in September released a sketch of a man who was seen leaving the area shortly after the shooting. Police were looking for the man and a white four-door 2013 to 2015 Toyota Avalon, as well as a female subject who was also seen with the vehicle.